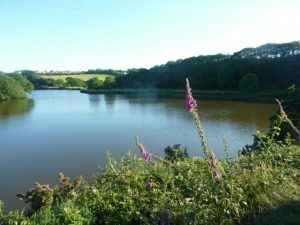 Westfield Pill Nature Reserve and lake within a 10 minute walk from the cottage (image above). The cottage is in a central location in beautiful Pembrokeshire countryside, which offers activities for all tastes from gentle walks to action-packed water sports. The property is approximately a mile from the picturesque hamlet of Burton, with a waterside family pub, The Jolly Sailor, which serves good food in a picturesque setting. Although the location is quiet, it is only a couple of miles from the Haven waterway and Neyland Marina which is a safe location for watersports, sailing and wildlife expeditions. The Brunel cycleway can be joined just over a mile from the cottage. Approximately 10 miles in one direction are Tenby and Saundersfoot, both with pretty Harbours and long sandy beaches. 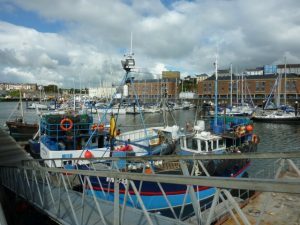 In the other direction in approximately miles is Milford Haven (image below), which is a small working port, but also busy with pleasure boats and a marina with restaurants and shops to browse. Pembrokeshire has impressive castles galore in the area and plenty of family attractions, all within a few miles and to suit all tastes. The local leisure attractions,Tenby Dinosaur Park, Manor House, Heatherton Country Sports Park, Folly Farm and Oakwood theme park, Blue Lagoon waterpark, wildlife boat trips or fast boat rides. Also trips by boat from Tenby to Caldey Island, day out to Skomer Island to see the puffins, (check Skomer website to see when puffins are viewable). Castles, maritime history and Pembrokeshire coastal path and beaches are all within easy reach by car, plus much, much more. Beaches: There are approximately 58 beaches in Pembrokeshire and four of those are in Tenby. The ferry terminal to Ireland is at Pembroke Dock, which is approximately 3 miles away over the Cleddau Bridge.